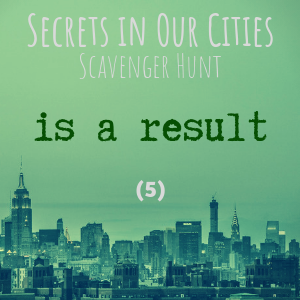 Welcome to the next stop on the Secrets in Our Cities Scavenger Hunt Blog Tour! I’m delighted to be hosting Madison Wheatley, one of the amazing authors of this upcoming paranormal urban fantasy anthology. Read on for her interview! Elise: What’s your story about? Madison: My story is essentially a “buddy cop” story set in an urban fantasy environment. Talisa Joyce is the only one in her family who can’t do magic. Andrew Yataro is a gifted mage. Together, they investigate the magical crimes in Silvercoast City. But when a missing person investigation goes awry, Detective Joyce finds herself in an uncomfortable position: It’s up to her to take down a powerful enemy and rescue her partner from a magical trap. Elise: Sounds good! What inspired your story? Madison: I’m a big fan of stories about magic concealed in mundane surroundings. The idea that anything–an abandoned building, a mysterious stranger, a dark alley–could contain unexpected some power, intrigues me. This fascination fueled the creation of Silvercoast City, a place where the magical and the mundane coexist, and occasionally bump up against each other. As much as I enjoy infusing magic into everyday surroundings, I also love stories in which an “ordinary” hero saves the day. Like Talisa, I have struggled with feelings of inferiority, envying others of their talent while disregarding my own. As I’ve gotten older, though, I’ve realized that approach doesn’t lead to happiness in the end. That’s why I included a character who learns to thrive in a magical world, using her own wits and collaborating with her mage partner to overcome obstacles. Elise: What was the hardest part of writing it? Madison: The biggest challenge of writing any fantasy is ensuring that the world comes off as real. This means making sure there are no inconsistencies, especially when the rules of magic are concerned. The fun thing about fantasy is that anything is possible, but at the same time, mistakes and plot holes can take the reader out of the narrative. Elise: Have you written a story for any other JL anthologies? Madison: This is my first JL anthology! It’s been a great experience, though, and I’d love to be part of another one in the future. Madison: I don’t think every story necessarily need to end happily ever after; after all, important life experiences don’t end in sunshine and rainbows. However, I don’t enjoy reading stories with entirely hopeless endings either. Even sad endings can include some kind of light, a hint of hope that things may get better after the story’s end. Elise: I agree with that–I like a sense of hope even if it’s not a happy ending. How do you combat writer’s block? Elise: Are you a “pantser” or “plotter”? Madison: I’ve been both throughout my writing life. It usually depends on the project. When it comes to shorter projects, like “Gallery of Lost Souls,” I’ll start with only a basic premise and a few plot points. However, the novel I’m working on started with a more detailed outline. Overall, I see the benefits of both pantsing and plotting, and I’m sure I’ll keep switching between the two methods until I know which one works best for me. 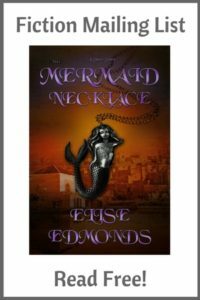 Elise: Favorite urban fantasy novel/series? Madison: I’m really enjoying The Hazel Wood by Melissa Albert. It’s got the right balance of magic, mystery, and suspense that keeps me turning the pages. Elise: If you could meet one author, alive or dead, who would it be? Madison: Definitely Neil Gaiman. I love his unique writing style, and he’s got so much wisdom as far as writing advice goes. Elise: What is your non-writer alter-ego? Madison: I’m a houseparent and English teacher at a residential treatment center for adolescents. My job can be demanding, but I enjoy watching them “geek out” over the books they’re reading. Elise: Who is the biggest supporter of your writing? Madison: My husband has supported my writing ever since we were in high school. He still keeps some of my old work and looks over it from time to time. In addition, my local writing group has been a huge help. They help me iron out tricky plot points and celebrate my successes with me. Elise: What is the biggest obstacle to your writing? Madison: Definitely distraction. Sometimes I can be so busy that it’s hard to slow down and make time for writing. Elise: Distraction is a problem for me too! What other projects are you working on? Madison: I’m currently gearing up for NaNoWriMo 2018. I’m still in the planning stage, but I know I want to write a YA contemporary fantasy. In addition, I’m (slowly) revising my psychological thriller novel “Ambrosia,” which I’m hoping to start querying later this year or early next. Elise: Oxford comma, yes or no? Elise: True, you can’t go wrong if you put it in! Thanks for stopping by, Madison. Madison Wheatley is an author and middle/high school English teacher from Northwest Indiana. 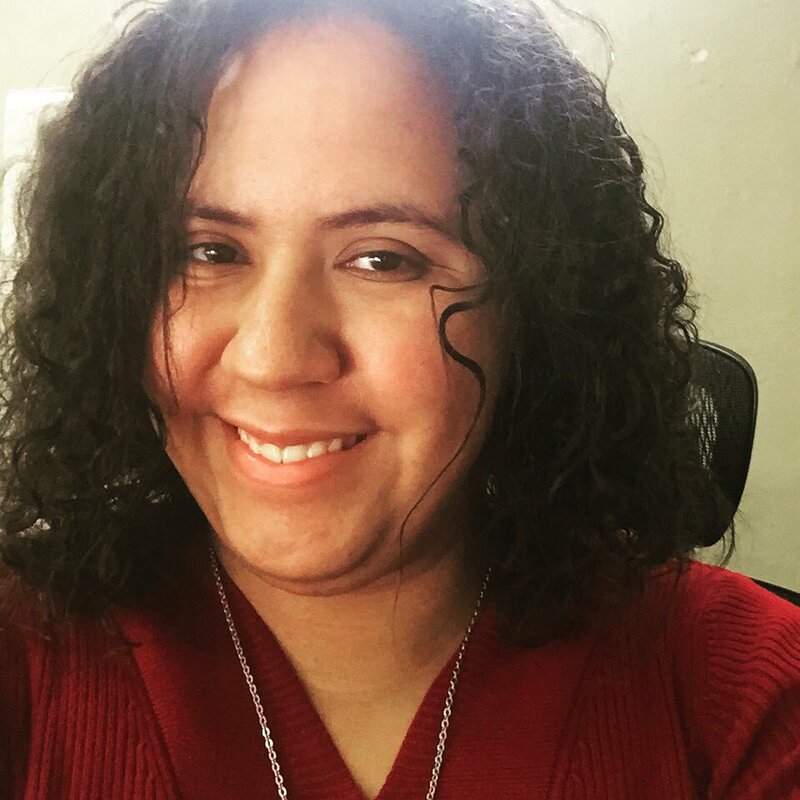 She enjoys writing genre-blending stories with an element of mystery; her current projects are an urban fantasy crime story and a paranormal psychological thriller novel. Madison enjoys reading, video games, and spending time with her husband and her Mountain Feist. This blog post is part of the Secrets in Our Cities Scavenger Hunt. You can participate by visiting all of the participating blogs, a list of which can be found in the introduction post on the Just-Us League’s website. Make sure to jot down the clue below–it’s an important part of the hunt! Once you’ve gathered all of the clues, figure out the secret line and submit it. One lucky winner will receive a paperback copy of Secrets in Our Cities, and three lucky winners will receive ebook copies. The Scavenger Hunt will be open until midnight EST on November 5th, 2018. The winners will be announced on the Just-Us League’s blog on November 7th, 2018. Your information will only be used to contact you if you win a prize.